I'm Here. I'm Queer. What the Hell do I read? 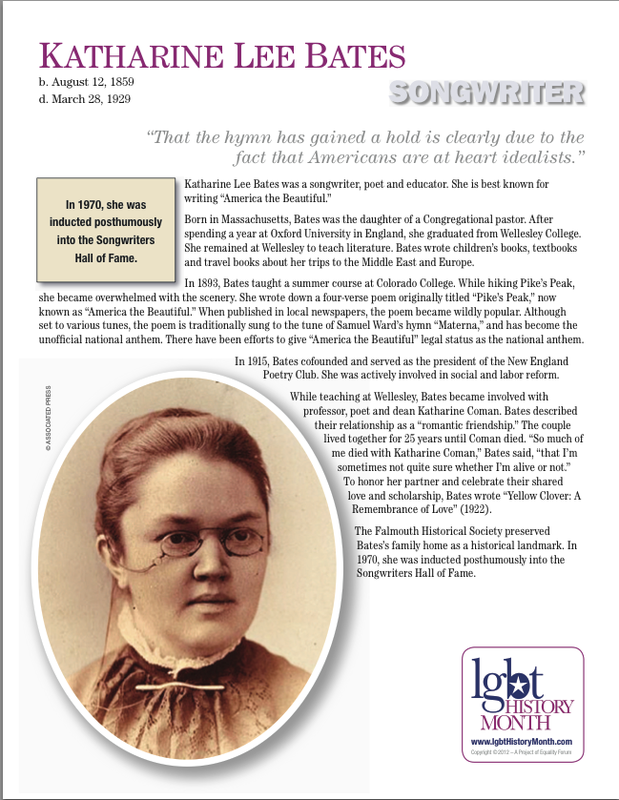 : October is LGBTQ History Month in the USA! 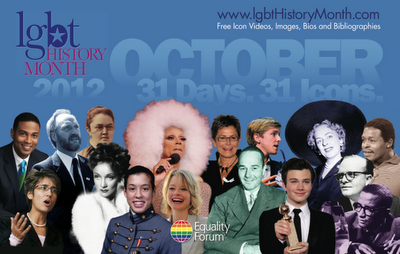 A great resource is the 31 days of queer icons highlighted by equality forum. 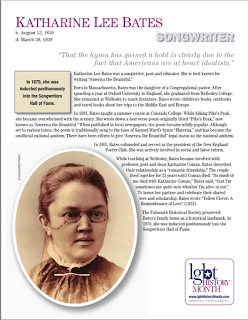 I particularly love their pdf information sheets on each icon - like this one on Katharine Lee Bates, the songwriter who wrote "America The Beautiful" ... and a woman who loved another woman! And here's the one on Transgender Pioneer Christine Jorgensen! 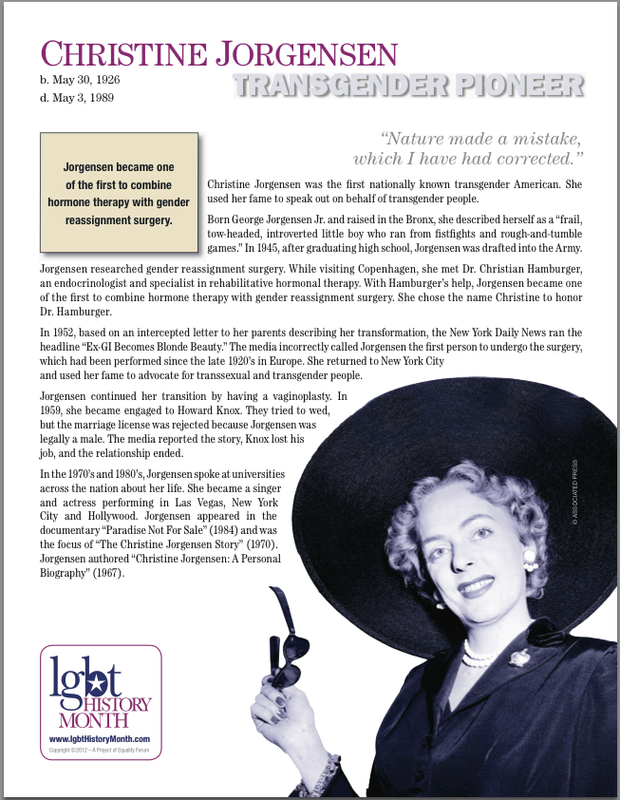 It's 31 days of history - past and present - and it's a wonderful resource... and a great reason and way to celebrate our LGBTQ history!